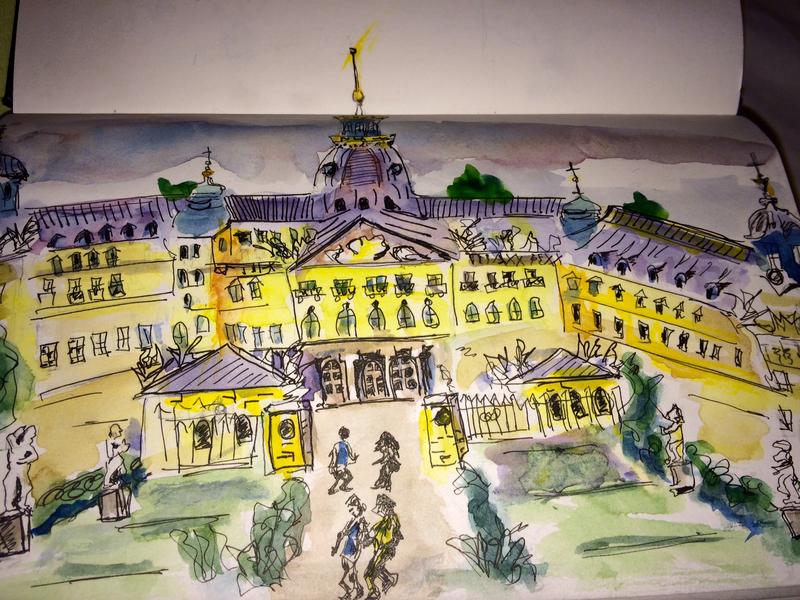 Anyone who sketches or attempts to create anything new is attempting to create a new way of seeing something, even if just for themselves, in their own sketchbooks, or–as I did last night–on the back of an envelope. They are, to varying degrees, storytellers. 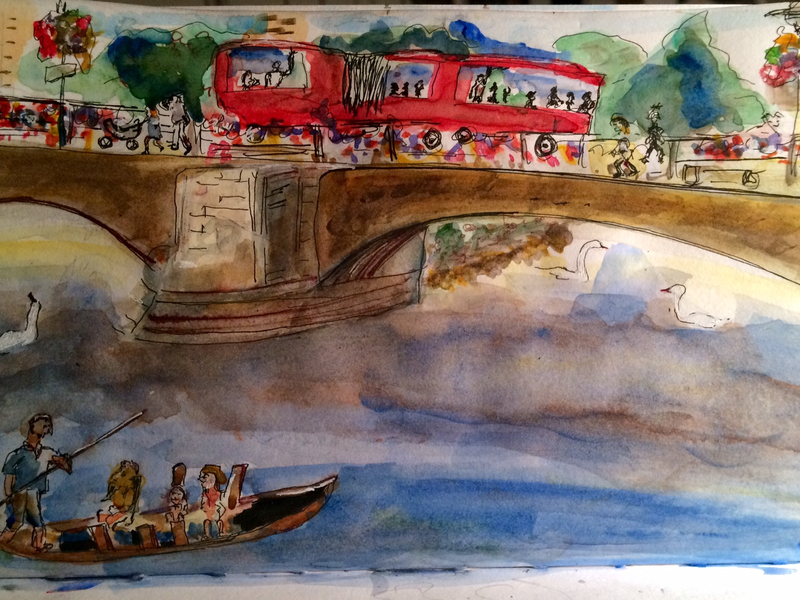 Urban sketchers certainly are storytellers or, if you will, citizen reporters, and “plein aire” artists, drawing and coloring what they see! Those who tell stories about their sketches, their sculptures, their jewelry-making projects, their workshops, or other sorts of creative endeavor are providing narratives to put a frame around the effort. So sketching leads straight to frame innovation…which is getting serious attention in some business and academic circles. It appears that artists have a lot to teach those of us who have depended primarily (so far…) on our analytic brains to carry us forward. And who, after all, isn’t an artist, given a chance? 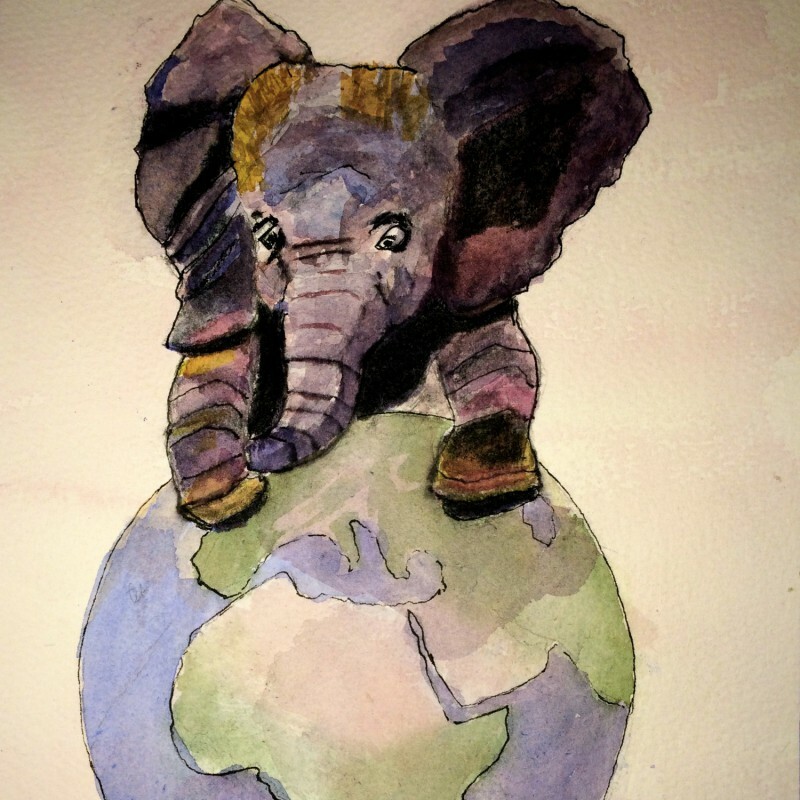 What happens when our analytic brains are simply not up to the challenges (some of which may be “black elephants”) ahead? A few posts back began to look at a book on this subject published by MIT Press recently. This post thus will segue back into the discussion of frame innovation raised a few weeks ago here on this blog (and to which there may be a few more unanswered questions by now). One question so far raised, for instance, is whether the ideas behind “frame innovation” are, in fact, anything new? The next few posts will consider this and related issues. 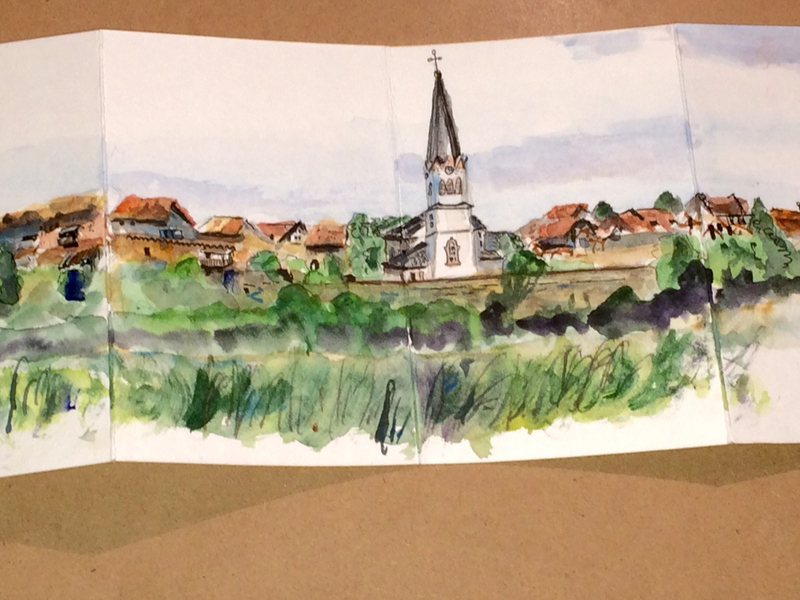 The sketches here were composed in the German university town of Tübingen on a perfect day for exploring its gorgeous cobblestoned streets. Below, some of the university students who make up about a third of the town’s population lounge on the wall above the Neckar River. And, not far away, “poled” boats jostle for space as they navigate underneath the bridge over the Neckar River. So, today was another beautiful day, a perfect day for a hike in the Black Forest, or Schwarzwald. Our origination point was the small “Kur” hamlet tucked in between forested hills called Bad Wildbad. A stream runs through the middle of the town, which has a massive sanitorium building straight out of an earlier age looming above it. This town, in a smaller version of Baden-Baden, is centered around thermal natural spring baths and also lined with outdoor waterfront cafes, hotels, and stylish shops. People were out enjoying the sunshine and a coffee on the terraces along the stream, accompanied by the soothing sound of the waterfalls below. 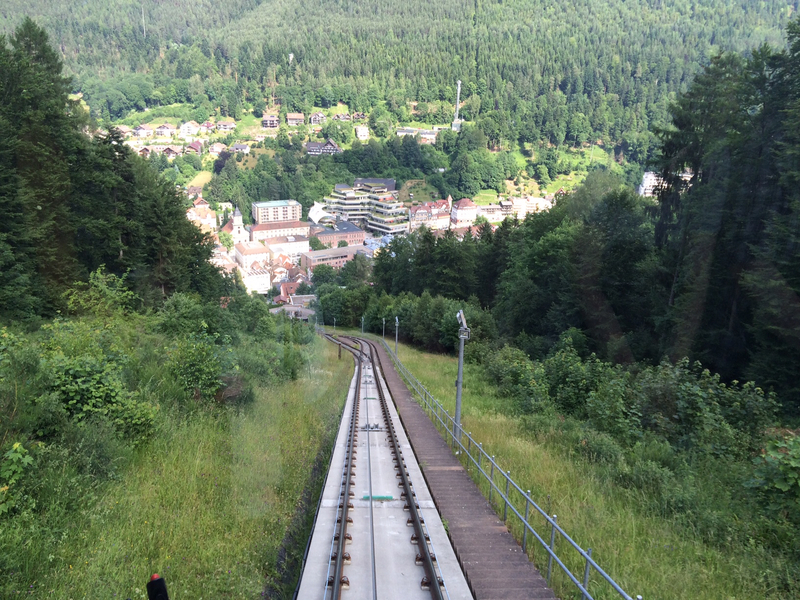 Initially our destination was the Sommerberg Bahn, a small train that glides up (and down!) railway tracks at a very steep angle to and from the top of the berg, or mountain. The scenery was gorgeous at the top of the mountain with hiking trails going every which way and intersecting here and there, with “Skiihütte” (skiers’ huts) helpfully positioned at the crossroads, in case you need a rest or want to measure your pulse. (The bigger Skiihütte offer steaming plates of wurst and salad along with beer or lighter drinks.) It seems important to mention that there even were raised hiking trails on platforms at least thirty feet above our heads that extended through the trees in a wide circuit (the “Treetop Path”), making the hiking experience easily accessible–and particularly scenic–for those who wanted to see the sights from a yet higher vantage point, including those who are wheelchair-bound. There is a Nordic method to calisthenic hiking and it involves hiking poles. This method reportedly burns up more calories and leads to greater fitness. So, many people getting on and off the Sommerberg Zug had their hiking poles (a bit like ski poles) with them. While you are on the Sommerberg Bahn, you may pass by people sunning themselves on their otherwise apparently private terraces (alongside their drying laundry arrayed on racks to catch the sun). There are a great many Kliniks and sanotorium in this area, reminding one perhaps of The Magic Mountain by Thomas Mann. It seems doubtful that anyone is in a hurry here, so probably it would be a great place for sketching. It would be painless, for sure, to check in here for a few months!! 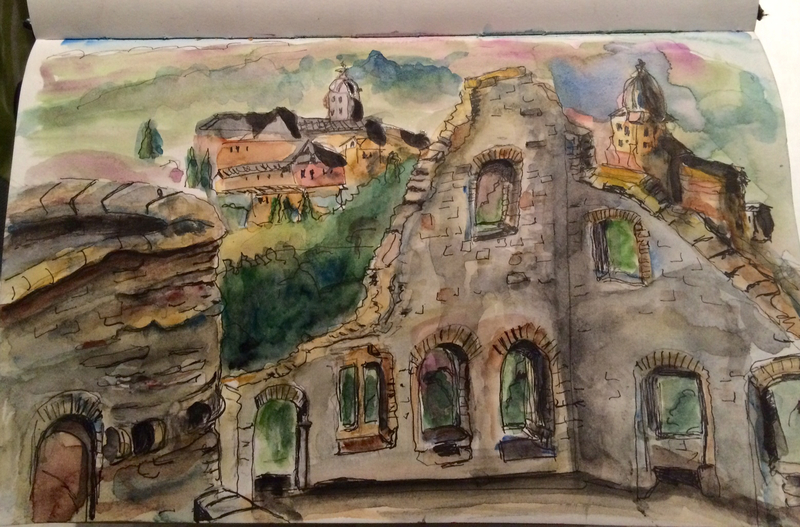 In any case, although the watercolors were along for the ride, the circumstances were such that only a simple sketch of one of the Skihütte sites was possible. This is the site of the Fünf Baüme, or the Five Trees, a surprising spot in several ways. Since this spot is surrounded by trees, it is natural to ask, as we did, why it is called “five trees.” Soon we spotted the reason; there were five trees growing together and protected by a fence just to the right of the hut. A clearing above the hut had permanent recliners–sort of anti-gravity chairs for hikers or, possibly, for sketchers passing by. Below the hut, through the trees, a horizon of mountains and tree tops as well as blue sky was visible. The many trees in the foreground were all possible shades of green–a fabulous place to take a rest, as several hikers and bikers did while this sketching was underway. Today was a beautiful day for visiting Baden-Baden–sunny, breezy, and cool, especially above the town at this “altes Schloß” or old castle. The upper part of this castle was constructed in 1100 A.D. 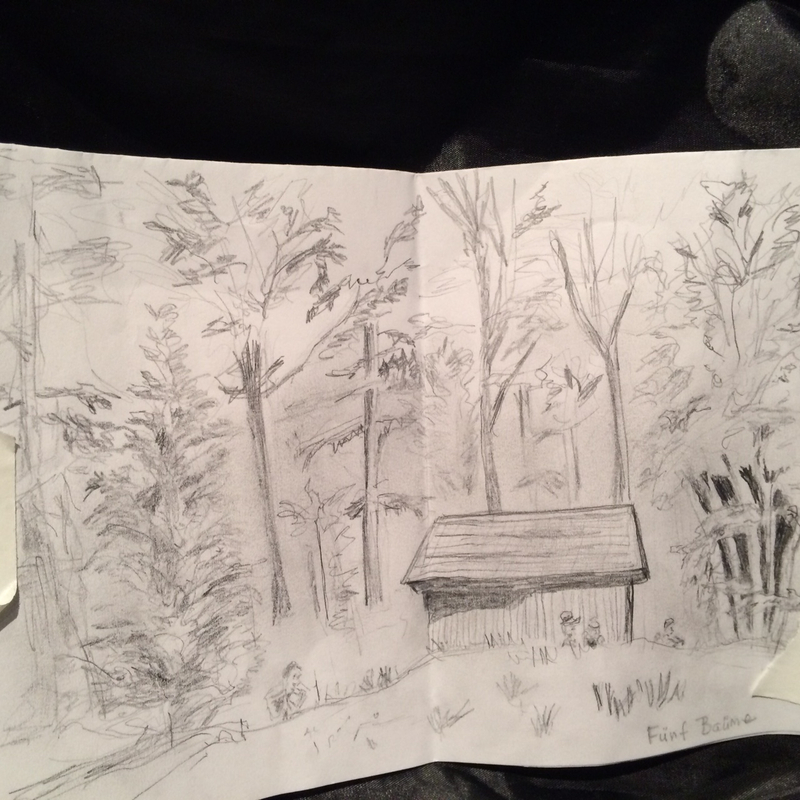 Almost no one was around…indeed, this entire sketch was completed without seeing a soul in the vicinity, and the only sounds were of birds singing and trees rustling in a gentle wind. Later, down the mountainside, through winding roads past thermal springs and Roman baths, and in and out of a cathedral alive with an unforgettably beautiful organ and horn recital. Then, further still down the cobblestoned alleyways and staircases, past elegant hotels and shops and inviting restaurants… At last, we are on the stately grounds of the Trinkhalle near the River Oos. There is so much history here…one almost feels transported to an earlier era. There’s time for an “eiskafe” on an open-air terrace next to a lemon tree, listening to the sound of waterfalls in the river streaming by just below.. No wonder so many people flock to this city! So much to sketch…so little time! 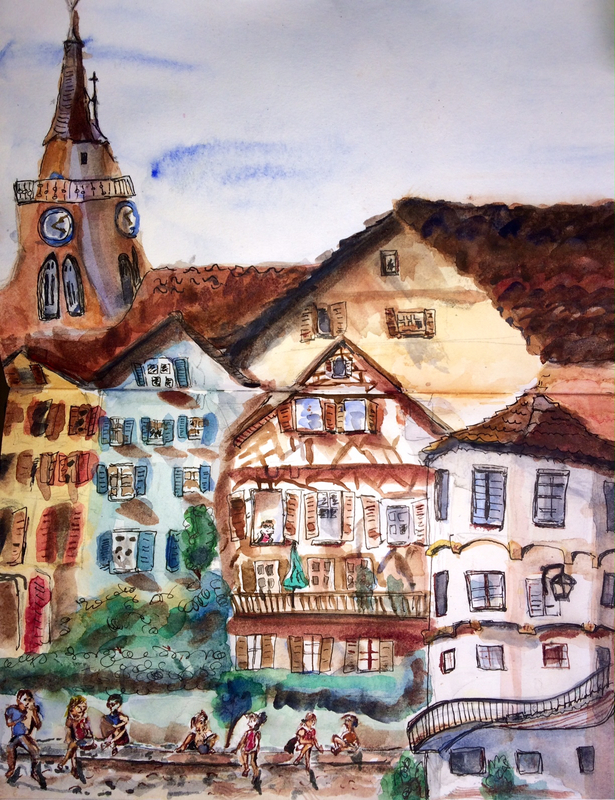 Sketchers and doodlers in the Pfalz and Baden regions of Germany have many subjects from which to choose. 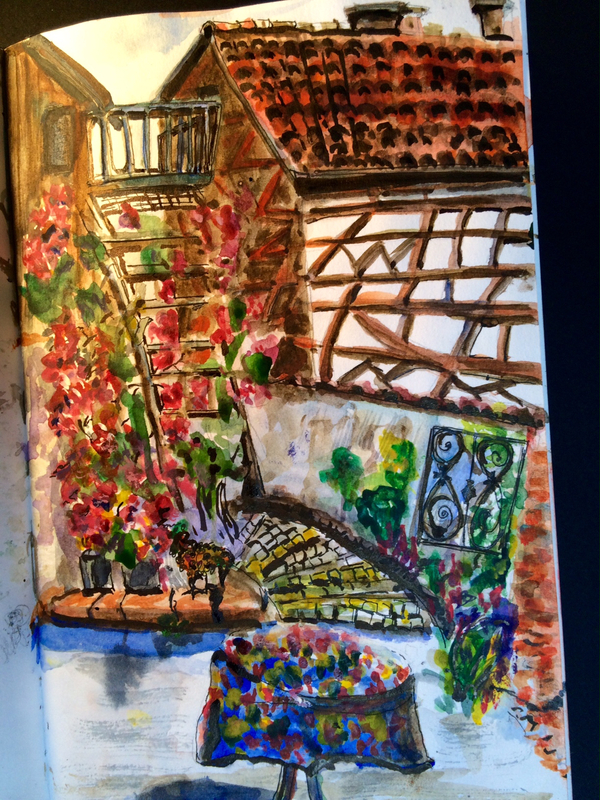 If the weather holds out, it may be possible to focus on drawing more sights. But today it was a race against threatening storm clouds, and a few raindrops, to draw this “schloss” built between 1715-1718. Fortunately, the clouds moved off, leaving wonderfully blue skies and bright sunshine, despite ominous weather forecasts this morning anticipating downpours. 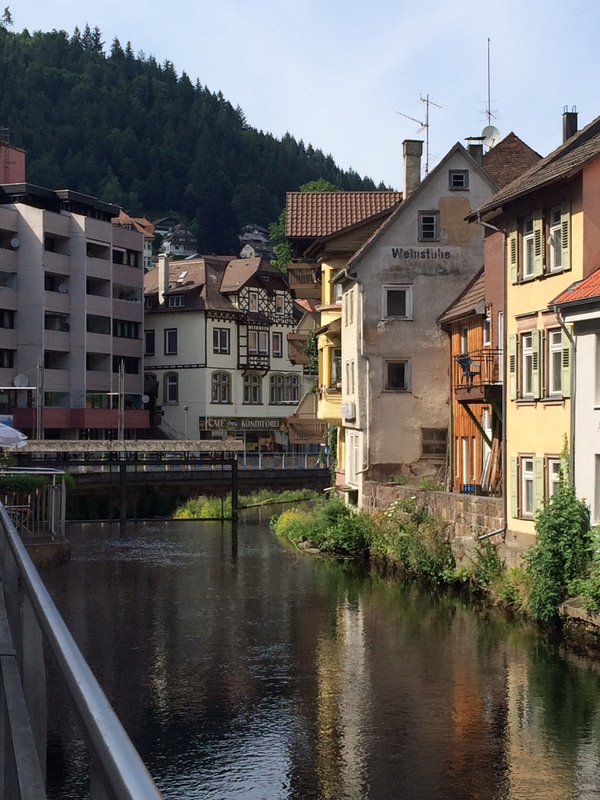 Off the well-trodden tourist paths in Germany, there are still a great many surprises to see, especially in some of the oldest towns. Here is one celebrating its 750th anniversary this year! Tomorrow many in the town will turn out for a flea market; we’ll have to see what that looks like in a sketch or two. 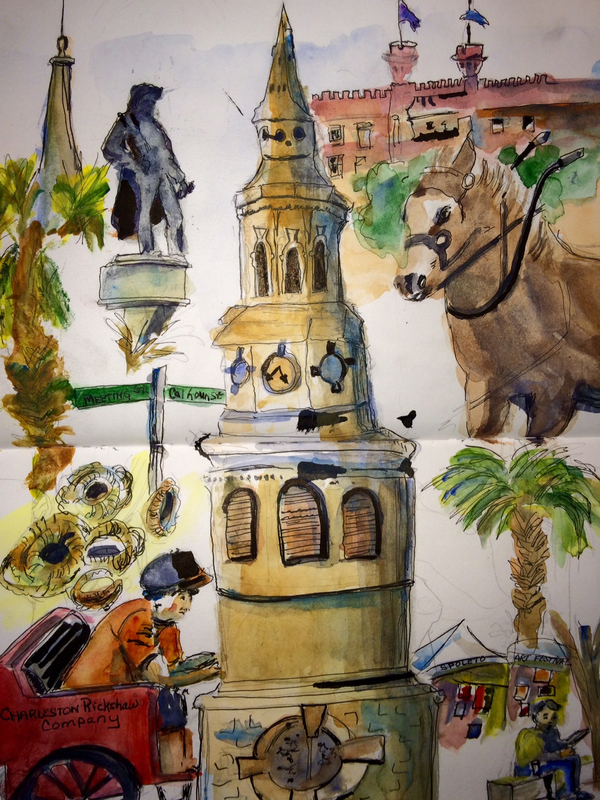 Charleston, South Carolina is a city with something for everyone, especially doodlers and sketchers. Drop into any downtown art supply store and the people there will be happy to share with you their favorite sketching places. This city is known as the “Holy City” due to its many churches; the skyline is dominated by steeples. From expansive beaches to cobblestone streets, graceful buildings, breezy balconies, and beautiful flower boxes and fountains, there is so much to see that it can be overwhelming. It’s best to try to soak in the sights from many vantage points.